PSA: A Big Change is Here! Hey Howdy Hey, TAY Folks! I’ve been keeping this to myself for a long while, but It’s finally time to share the HUGE step forward for our humble blog. I have decided that we, as a community, are going to switch focus from gaming, anime, food and more to... SHAQ! 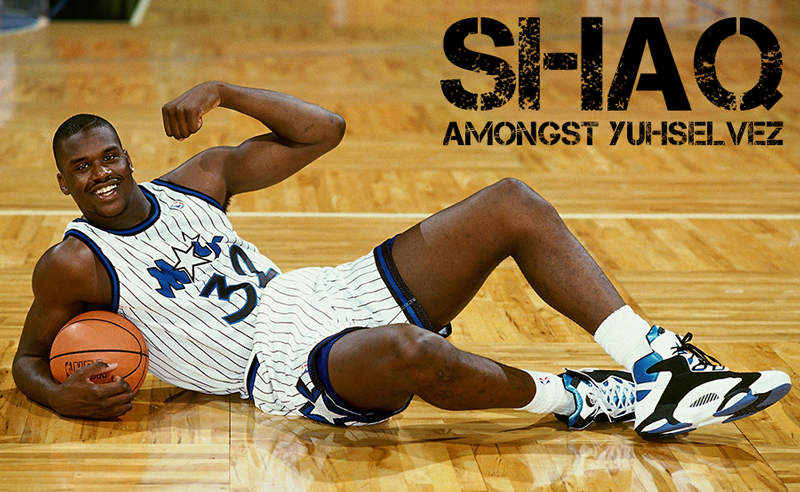 For those who don’t know, Shaq is the nickname of former NBA star, actor, and entrepreneur Shaquille O’Neal. He is one of the most recognized figures in the world and I’ve always been a diehard fan of all that he’s done. So as of the start of April (today) we will no longer be Talk Amongst Yourselves and will continue on as Shaq Amongst Yuhselvez. I realize this change may come as a shock to some, but trust me. There is a lot to discuss when it comes to Shaq and I look forward to everyone’s insights into his world. Anyone is more than welcome to post anything Shaq related, so don’t be shy. If you still have a few gaming or anime posts you have on the backburner you can get them out over the weekend, but come Monday we’re only going to accepting Shaq related articles.